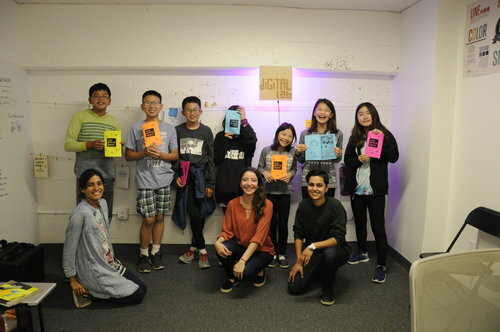 At the heart of the CCA Interaction Design Master's program is the Social Lab, a space in which our students take their design skills into the world, engaging with community partners to leverage design for social impact. 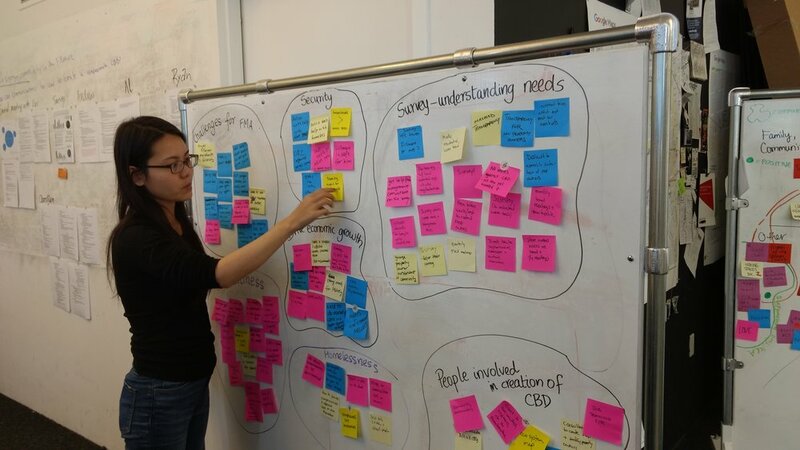 In the Social Lab, IxD project teams collaborate with community organizations and local partners to identify prevalent social challenges, seeking a systemic and holistic understanding of those challenges and their root causes. The teams then engage community members as partners in the process of designing tools and systems that can fundamentally address those challenges, deepening the strength, resilience, and impact of the neighborhood and its constituents. As designers we’re excited by the power of emerging technologies. But as social actors we’re also mindful that gaps in access to technologies result in social barriers. Such gaps are prevalent in the Western Addition neighborhood, one of San Francisco’s most ethnically and economically diverse areas. That’s why we’ve partnered with the African American Art & Culture Complex, a neighborhood hub since its founding in 1989, to focus the Social Lab’s current efforts. Our goal is to increase the neighborhood’s everyday community resilience by using interaction design to increase the human, intellectual and social capital available to residents. A collaboration between CCA Interaction Design and Architecture students and the African American Art and Culture Complex (AAACC) to co-design a parklet that facilitates social gathering and increases awareness of the AAACC. A partnership with Root Division, a non profit arts organization in San Francisco to design a classroom and create a workshop curriculum to teach middle and high school youth design skills. 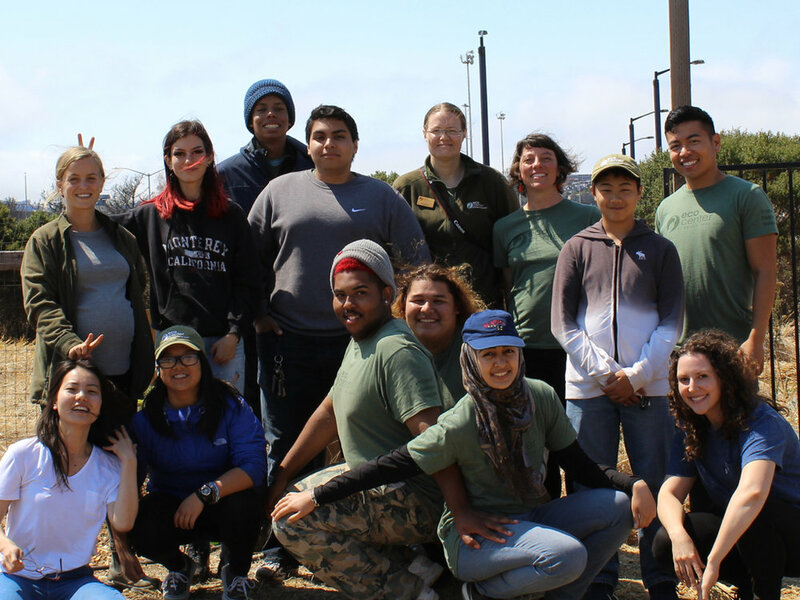 Project Saturday is a co-created initiative in service to designing a process to foster collaborative learning for high school and college youth interning at the EcoCenter at Heron's Head Park, a division of Bay.Org. Marcus Bookstores is creating a critical and intellectual place of convening for the Fillmore African American community by reimagining and reintroducing Marcus Book Stores into the physical structure of the AAACC (African American Arts and Culture Complex). Share Your Voice is connecting residents with important information about their changing communities and enabling them to share their voice on these topics. The goal is to help residents feel heard, included, and part of an ongoing positive dialogue in the community. Discover Fillmore is an audio walking tour through San Francisco's Fillmore district. Its mission is to bring people together, support them economically, and give them the tools for common understanding and mutual empathy. That’s what community is all about. Project Dahlia's goal is to empower women to realize their own capacity to overcome homelessness. They hope that by addressing access to hygiene, they can help to alleviate one of the many systemic barriers that keep women in the cycle of homelessness. Wayfinding and communication design for GLIDE, a radically inclusive community center in the Tenderloin. Developed insights and provided guidance for forming a Community Benefits District (CBD) that supports the vision of the Fillmore Merchants Association and the community at large. The Marcus Bookstore and Discover Fillmore teams received mention in two local publications this week. There will be an event, to be held Tuesday, Aug. 16, 6-9 p.m., on the first floor of the AAACC, 762 Fulton St., San Francisco to announce plans for reopening.